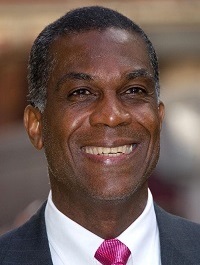 As one of the fastest bowlers the world has seen, Michael Holding went by the haunting nickname 'Whispering Death', claiming 249 Test wickets. Despite having not laced his bowling boots since 1989, it remains a fitting sobriquet. 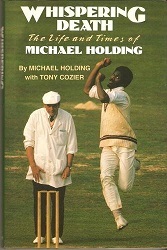 As a commentator and administrator, Holding has delivered his views on cricket in the same manner that he played the game: he speaks softly with a rich Jamaican rhythm and is calculated in either criticism or compliment. NO HOLDING BACK charts his effortless transition from one of the great players to one of the great pundits. 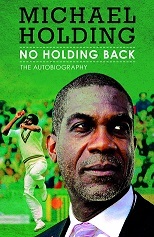 Holding graphically describes his days as a player, looking back at how he tried to deliberately hurt batsmen on the wastelands of Kingston, and his first match for Jamaica when he almost collapsed from exhaustion - after only four overs! There is time, too, to divulge what it was like to tour with the West Indies, and unmissable insights about sharing a dressing room with other legends of the game like Clive Lloyd, Sir Viv Richards and Malcolm Marshall. Holding does not shirk the big issues, as he discusses how the West Indies have slipped following their halcyon days, openly assesses Brian Lara and laments the hypocrisy over the state of the game in the region. The controversy surrounding the Allen Stanford $20m spectacle, the ICC's handling of the abandoned England v Pakistan match, player power, illegal bowling actions and the threat of Twenty20 to the Test game are all subjects which Holding tackles with characteristic knowledge and class.
" It’s no secret that I have a long established love affair with horse-racing. From the first moment I saw the magnificent thoroughbreds at Caymanas Park in Kingston as a young child, I was fascinated, but playing cricket & football occupied so much of my time and energy that I didn’t rekindle my interest properly until I reached the third form at Kingston College. Some classmates seemed to know everything there was to know about the local racing scene, and not wanting to sound ignorant about who was the better trainer – Billy Williams or Laurie Silvera or who was the better jockey – Kenneth Mattis or Winston Ellis, I decided to go out to Caymanas Park on race days to acquaint myself with the whole ambience around the horses, trainers and jockeys. Eventually I got to know just about everything there was to know and earned the nickname “Tempus” around my schoolmates. The original Tempus was a horse at Caymanas Park and I had more faith in him than his form actually merited. "